Recently I was in Co Claire, Ireland in an area called “The Burren” and came across this great quote made during Oliver Cromwell’s conquest of Ireland. It was made by one of his generals who said of the Burren (and he was right, given the landscape). The Cromwellian conquest of Ireland (1649–53) refers to the conquest of Ireland by the forces of the English Parliament, led by Oliver Cromwell during the Wars of the Three Kingdoms. 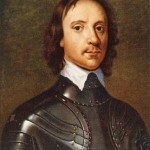 Cromwell landed in Ireland with his New Model Army on behalf of England’s Rump Parliament in 1649. The conflict is sometimes referred to as the Cromwellian Wars. 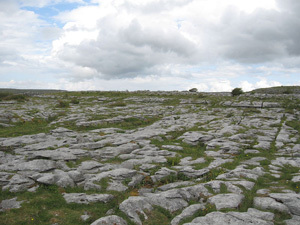 The Burren (Irish: Boireann, meaning “great rock”, Boirinn, the dative form, is the modern form used by the Ordnance Survey) is a karst-landscape region or alvar in northwest County Clare, in Ireland. It is one of the largest karst landscapes in Europe. The region measures approximately 250 square kilometres and is enclosed roughly within the circle made by the villages Ballyvaughan, Kinvara, Tubber, Corofin, Kilfenora and Lisdoonvarna. It is bounded by the Atlantic and Galway Bay on the west and north, respectively.